When will be Noel's Sell or Swap Live next episode air date? 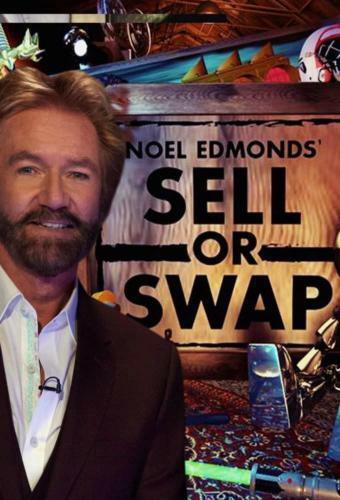 Is Noel's Sell or Swap Live renewed or cancelled? Where to countdown Noel's Sell or Swap Live air dates? Is Noel's Sell or Swap Live worth watching? Unwanted items? Unrequited dreams? Noel Edmonds and his Sell or Swap team are here to help. This brand new live auction show gives guests the chance to bid on an eclectic mix of items, with up to three auctions running at the same time during the show. The item's owners will have a funny or emotive reason why they desperately need to dispose of the things they're putting up for sale - it might be an unwanted Christmas present, an object that the family rows over, or something bought in haste. Noel and his SOS squad are on hand to create a bidding frenzy. Noel's Sell or Swap Live next episode air date provides TVMaze for you. EpisoDate.com is your TV show guide to Countdown Noel's Sell or Swap Live Episode Air Dates and to stay in touch with Noel's Sell or Swap Live next episode Air Date and your others favorite TV Shows. Add the shows you like to a "Watchlist" and let the site take it from there.